Beloved brethren, these verses are all that is uplifting about this post, which is limited to facts and information about a sad and selfish man who once had absolute rule over God’s children – life and death. He is only one of many throughout history. May we stay sober and wide awake for the purpose of prayer.
. . . Because of its desolate and barren nature, Patmos was used by the Romans as a place to banish criminals, who were forced to work at hard labor in the mines and quarries of the island. Because Christians were regarded as criminals by the Roman emperor Domitian (ruled A.D. 81-96), the apostle John probably suffered from harsh treatment during his exile on Patmos. An early Christian tradition said John was in exile for 18 months. As emperor, Domitian was to become one of Rome’s foremost micromanagers, especially concerning the economy. Shortly after taking office, he raised the silver content of the denarius by about 12% (to the earlier level of Augustus), only to devaluate it in A.D. 85, when the imperial income must have proved insufficient to meet military and public expenses. [] Confiscations and the rigorous collection of taxes soon became necessary. On another front, he sought to promote grain production by calling for empire-wide limitations on viticulture, but the edict met with immediate opposition and was never implemented. [] On the other hand, there were notable successes. The great fire of A.D. 64, the civil wars of A.D 68-69, and another devastating fire in A.D. 80 had left Rome badly in need of repair. Domitian responded by erecting, restoring, or completing some 50 structures, including the restored Temple of Jupiter on the Capitol and a magnificent palace on the Palatine. The building program, ambitious and spectacular, was matched by hardly any other emperor. [] He was also able to maintain the debased currency standard of A.D. 85, which was still higher than the Vespasianic one, until the end of his reign. The economy, therefore, offered a ready outlet for Domitian’s autocratic tendencies. There were failures, but he also left the treasury with a surplus, perhaps the best proof of a financially sound administration. Domitian’s reach extended well beyond the economy. Late in A.D. 85 he made himself censor perpetuus, censor for life, with a general supervision of conduct and morals. The move was without precedent and, although largely symbolic, it nevertheless revealed Domitian’s obsessive interest in all aspects of Roman life. An ardent supporter of traditional Roman religion, he also closely identified himself with Minerva and Jupiter, publicly linking the latter divinity to his regime through the Ludi Capitolini, the Capitoline Games, begun in A.D.86. Held every four years in the early summer, the Games consisted of chariot races, athletics and gymnastics, and music, oratory and poetry. Contestants came from many nations, and no expense was spared; the emperor himself awarded the prizes. [] In the same manner, Domitian offered frequent and elaborate public shows, always with an emphasis on the innovative: gladiator contests held at night; female combatants and dwarves; food showered down upon the public from ropes stretched across the top of the Amphitheater. 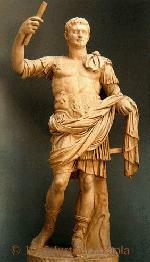 [] Thus did the emperor seek to underscore not only Rome’s importance but also his own and that of the Flavian regime. Beyond Rome, Domitian taxed provincials rigorously and was not afraid to impose his will on officials of every rank. Consistent with his concern for the details of administration, he also made essential changes in the organization of several provinces and established the office of curator to investigate financial mismanagement in the cities. Other evidence points to a concern with civic improvements of all kinds, from road building in Asia Minor, Sardinia and near the Danube to building and defensive improvements in North Africa. [] Less easy to gauge is Domitian’s attitude toward Christians and Jews, since reliable evidence for their persecution is difficult to find. Christians may have been among those banished or executed from time to time during the 90’s, but the testimony falls short of confirming any organized program of persecution under Domitian’s reign. On the other hand, there is clear evidence that Jews were made to feel uneasy under Domitian, who scrupulously collected the Jewish tax and harassed Jewish tax dodgers during much of his rule. As with Christians, such policies did not amount to persecution, but it does help to explain the Jewish fears of expulsion present in the sources. [] On balance, the tradition of Domitian as persecutor has been greatly overstated, yet given his autocratic tendencies and devotion to Roman pagan religion, it is easy to see how such stories could have evolved and multiplied. Domitian’s autocratic tendencies meant that the real seat of power during his reign resided with his court. The features typically associated with later courts – a small band of favored courtiers, a keen interest in the bizarre and the unusual (e.g., wrestlers, jesters, and dwarves), and a highly mannered, if somewhat artificial atmosphere, characterized Domitian’s palace too, whether at Rome or at his Alban villa, some 20 kilometers outside of the capital. 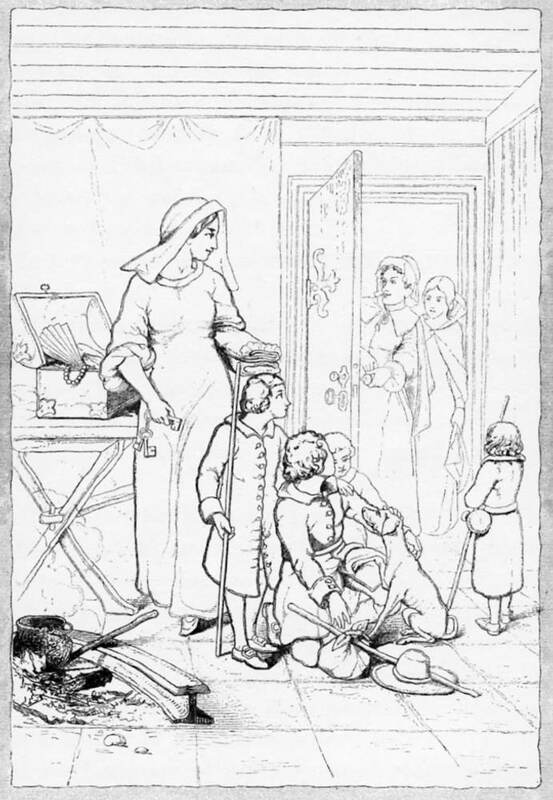 [] Courtiers included family members and freedmen, as well as friends (amici), a group of politicians, generals, and praetorian prefects who offered input on important matters. [] Reliance upon amici was not new, yet the arrangement underscored Domitian’s mistrust of the aristocracy, most notably the senate, whose role suffered as Domitian deliberately concentrated power in the hands of few senators while expanding the duties of the equestrian class. Senatorial grievances were not without basis: at least 11 senators of consular rank were executed and many others exiled, ample attestation of the emperor’s contempt for the body and its membership. [] The senate’s enthusiastic support for the damning of Domitian’s memory, therefore, came as no surprise. Nevertheless, the situation must be placed in its proper context. By comparison, the emperor Claudius A.D. 41-54) executed 35 senators and upwards of 300 equestrians, yet he was still deified by the senate! [] Domitian’s mistake was that he made no attempt to mask his feelings about the senate. Inclined neither by nature nor by conviction to include the body in his emperorship, he treated the group no differently than any other. Revenge would come in the form of an aristocratically based literary tradition that would miss no opportunity to vilify thoroughly both emperor and his rule. In many ways, Domitian is still a mystery – a lazy and licentious ruler by some accounts, an ambitious administrator and keeper of traditional Roman religion by others. [] As many of his economic, provincial, and military policies reveal, he was efficient and practical in much that he undertook, yet he also did nothing to hide the harsher despotic realities of his rule. This fact, combined with his solitary personality and frequent absences from Rome, guaranteed a harsh portrayal of his rule. The ultimate truths of his reign remain difficult to know. Anderson, J.C.”Domitian’s Building Program. Forum Julium and Markets of Trajan.” ArchN 10 (1981):41-48. Carradice, I.A. “Coinage and Finances in the Reign of Domitian, AD 81-96”, BAR International Series, 178, Oxford: British Archaeological Reports, 1983. Coleman, K. M. “The Emperor Domitian and Literature.” ANRW II.32.5: 3087-3115. Garnsey, P. and Saller, R. The Early Principate: Augustus to Trajan, [Greece and Rome New Surveys in the Classics No. 15], Oxford, 1982. Girard, J-L. “Domitien et Minerve: une prédilection impériale.” ANRW II.17.1: 233-245. Griffith, J. G. “Juvenal, Statius and the Flavian Establishment.” Greece and Rome 16 (1969): 134-150. Heintz, Florent. “A Domitianic Fleet Diploma.” ZPE 120 (1998): 250-252. Levi, M.A. “I Flavi.” ANRW II.2: 177-207. Levick, B. M. “Domitian and the Provinces.” Latomus 41 (1982): 50-7. McGinn, Thomas A. J. “Feminae Probosae and the Litter” CJ 93 (1998): 241-250. ________. “Domitian, the Last Years.” Chiron 13 (1983): 121-146. Vinson, M. “Domitia Longina, Julia Titi, and the Literary Tradition.” Historia 38 (1989): 431-450. Waters, K. H. “The Character of Domitian.” Phoenix 18 (1964): 49-77. [] Compare, however, Suetonius’ claim at Dom.1: “He is said to have spent a poverty-stricken and rather degraded youth: without even any silver on the table.” The passage is typical of the hostility directed toward Domitian in the literary sources. [] Domitian’s preference for solitude finds particularly cruel expression in Suetonius, who portrays him as spending hours alone every day catching flies and stabbing them with a needle-sharp pen while emperor. See Dom.3. Dio (66.9.5) also cites Domitian’s predilection for his own company. [] Poetic embellishment of Domitian’s military achievements: Statius, Theb. 1.21; Martial, 9.101.13; 9.10.15-16; Jos. BJ 7.85; Silius Italicus, Pun.3.608. [] Long after Domitian’s memory had been damned, Domitia still referred to herself as the emperor’s wife, perhaps an indication that she maintained at least some degree of affection for her husband. The evidence is preserved on brick stamps datable to A.D. 123; CIL 15.548a-9d. [] On the raising of the currency standard: Walker, D.R. , “The Metrology of the Roman Silver Coinage. Part I; From Augustus to Domitian,” BAR Supplementary Series 5, Oxford: British Archaeological Reports, 120, 115; Carradice, I.A. “Coinage and Finances in the Reign of Domitian, AD 81-96,” BAR International Series 178, Oxford: British Archaeological Reports, 9-56. [] For an excellent discussion of Domitian’s building program, see Jones, B. W. The Emperor Domitian London, 1992, 79-98. [] On improvements in the different provinces: Garzetti, A. From Tiberius to the Antonines: A History of the Roman Empire, 14-192 (London, 1974),278, 652; Leglay, M. “Les Flaviens et l’Afrique,” MEFR 80 (1968):221-22, 230-232. [] That the Chatti were not subdued in A.D. 83 is revealed by their role in Saturninus’ revolt (Suet. Dom. 6.2) and by their interference with the Cherusci (Dio 67.5.1). On the Roman withdrawal to the south in Britain, see Hobley, A.S. “The Numismatic Evidence for the Post-Agricolan Abandonment of the Roman Frontier in Northern Scotland,” Britannia 20 (1989): 69-74. Numismatic evidence (ibid., 73) indicates that the arch at Richborough was erected at this same time. It is difficult to resist the conclusion that the monument served to mask the Roman retreat. [] The presence of five Roman legions in Pannonia, for example, is unusual and points to genuine Roman concern with the region. See Dusanic, S. and Vasic, M. R. “An Upper Moesian Diploma of AD 96,” Chiron 7 (1977): 291-304; Jones, The Emperor Domitian, 153-155. [] Domitian did not hesitate to conduct a variety of imperial duties outside of the domus Flavia in Rome. For some of his activities at Alba: Plin. Ep. 4.11.6; Suet. Dom 4.4; Dio 67.1.2; Juv. 4.99. Tacitus (Agr. 45) and Juvenal (4.145) refer to it as the arx Albana, “the Alban fortress,” implying the residence of a despot. [] On the emperor’s amici, Jones, The Emperor Domitian, 50-71. [] For a collection of the ancient sources stressing a palace plot: Gephardt, R. F. C. “C. Suetonii Tranquilli Vita Domitiani: Suetonius’ Life of Domitian with Notes and Parallel Passages,” dissertation, University of Pennsylvania, 1922, 89. For the most complete account: Suet. Dom. 14.
] Domitian as lazy and lustful: Suet. Dom. 19; 22.